There has been plenty of confusion surrounding the FAI's duel appointments of Mick McCarthy and Stephen Kenny in recent days and I can understand why. 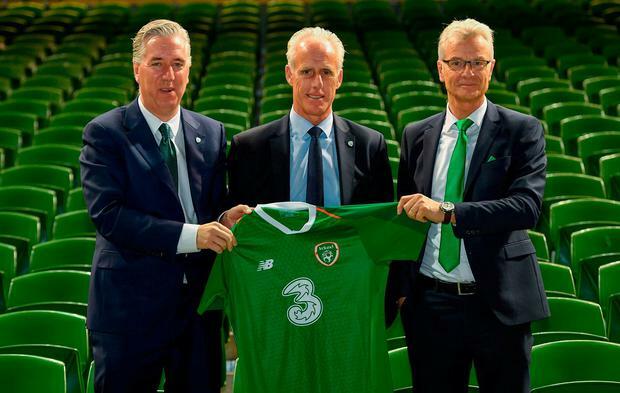 There was a groundswell of support for both McCarthy and Kenny to replace Martin O'Neill after his exit as Ireland manager last week and it looks like FAI chief John Delaney has tried to appeal to a mass audience by bringing both of them into the Ireland set-up. Mick is an experienced manager who will steady a ship that has lost its way in the last year and the FAI clearly believe Kenny deserves his chance to lead the team after doing a magnificent job at Dundalk. Stephen will probably have a better grasp of the kids coming through the League of Ireland set-up and he can tap into Mick's experience at the highest level, so maybe these two men who don't know each other too well can gel together. That said, I find it strange that the two appointments were confirmed on the same day, with McCarthy forced to spend some of the first press conference in his second spell as Ireland manager talking about his successor and what he will do when he leaves the post once again. 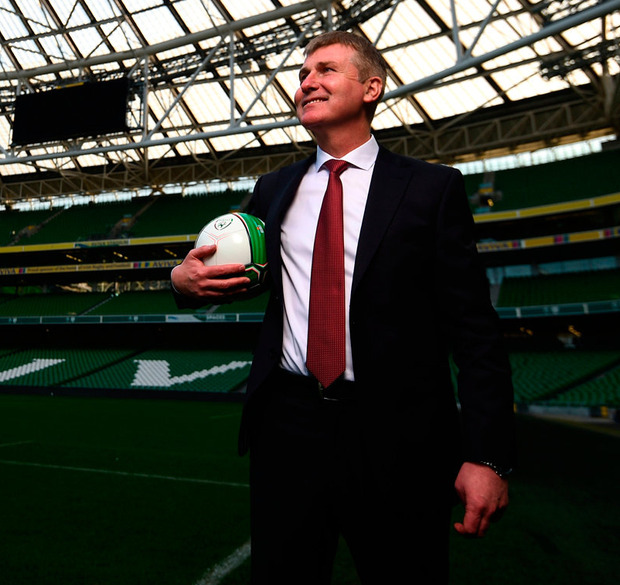 Part of me wonders whether the FAI could have stated publicly that Kenny would replace McCarthy when the time was right and not put a definitive time limit on it, but they have decided to go a different route. Am I surprised Mick signed up for a second spell as Ireland manager under these terms? Not really. This is a prestigious job for anyone with an Irish heart and the €1.2m-a-year deal he has reportedly signed is not to be sniffed at for a manager who was out of work after his departure from Ipswich last summer. The question will be what happens if Ireland get a difficult group at the Euro 2020 draw next weekend and lose their first two or three qualifiers next year. At that point, Kenny may be promoted to the senior team job a little quicker, meaning he will leave his role with the Ireland under-21 side and they will need to find another new manager. Yet I'm wiling to reserve judgement on the process for now and let Mick get on with the job of trying to a revive a team that had clearly lost its confidence under the management team of O'Neill and his assistant Roy Keane. Us former players were all trying to be polite about the situation in recent months, but everyone can see that the Ireland side are shattered for whatever reason and they badly needed some new voices to come in and shake things up. Mick is bringing his trusted sidekick Terry Conner with him and Robbie Keane will benefit from working alongside those two as he sets out on his coaching career in an Ireland set-up that I expect to be reinvigorated by the new management team. We all appreciate that the players Mick will select from are not world beaters by any means, but he will get them moving in a forward direction again and I would expect to see a huge improvement on the performances of the last few months. Mick was never my best friend when we were Ireland team-mates together, but he is a manager with a decent track record in English football and will have a few tricks up his sleeve to try and get this group of players functioning once again. If some of the lads were not feeling motivated to play under O'Neill and Keane, and that certainly appeared to be the case given the rumblings of discontent that emerged from the Ireland camp, then those issues have now been removed and we should get the best team possible on the field. West Ham youngster Declan Rice may now be more tempted to commit his international future to Ireland and despite my restorations on his decision to step back from the squad after winning three senior caps, we need all the players we can get at this moment. 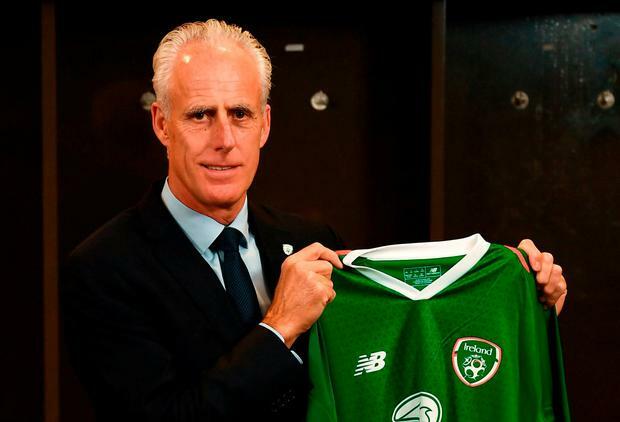 His bumper salary has been questioned in some quarters, but I couldn't care less about the financial side of this as the Ireland team need a reboot and we should all get behind Mick now and back him to make it happen.